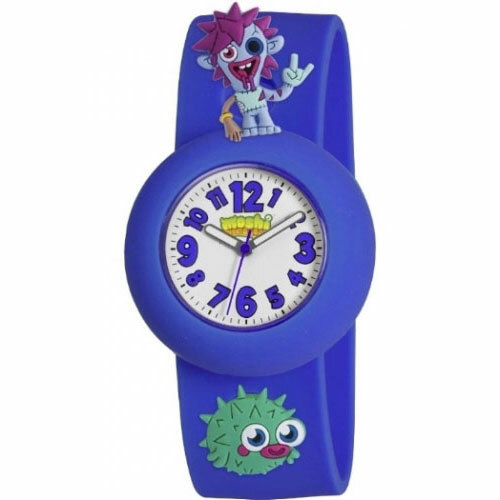 A trendy and fun Moshi Monsters charm watch for children. The navy blue silicone strap fastens with a press stud clasp. It features the characters Zommer and Blurp on the strap with the option of adding different charm characters. The white dial features clear, easy to read blue numbers to help children read the time. The item is now in your cart!